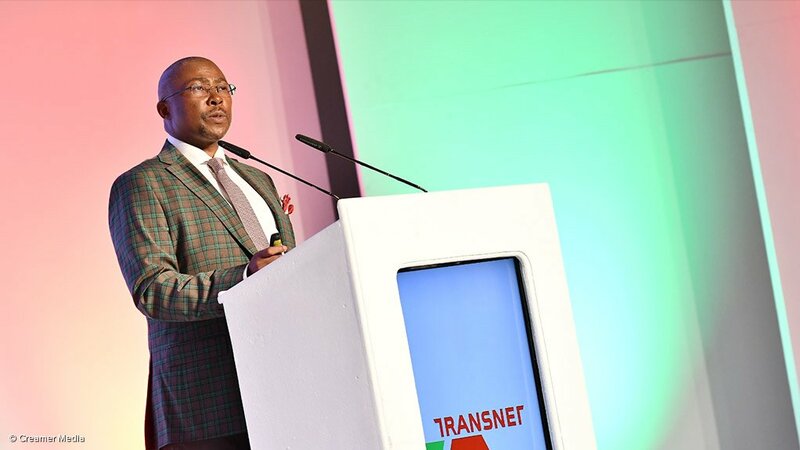 A surge in irregular expenditure to over R8-billion triggered a qualification of Transnet’s 2018 financial results, all but eclipsing an otherwise strong financial and operational performance by the State-owned group. The irregular expenditure related primarily to procurement undertaken by Transnet outside of the parameters of the Public Finance Management Act and covered a five-year horizon. In 2017, Transnet reported irregular expenditure of just short of R700-million. The results were also overshadowed by serious corruption allegations, relating to the purchase of 1 064 new diesel and electric locomotives. These allegations are expected to feature strongly during the State Capture Commission of Inquiry, which coincidentally began hearings in Johannesburg as Transnet was presenting its results at the group’s Esselen Park campus, to the east of the city. Deputy Chief Justice Raymond Zondo is leading the commission. Transnet CEO Siyabonga Gama delivered the results, despite the fact that he had been given until the end of Monday to provide reasons as to why he should not be suspended for his role in the controversial 2014 decision to divide the procurement of the locomotives between four original-equipment manufacturers (OEMs). Gama also made the presentation in the absence of newly appointed chairperson Popo Molefe, who reportedly suspects that Gama played a central role on the decision to split the contracts. The decision purportedly led to the price tag surging from R38.6-billion to R52-billion and also allegedly enabled an intermediary firm, with links to the Gupta family, to pocket as much as R5.3-million for each R50-million locomotive supplied by one of the OEMs, China South Rail (CSR). Dubbed ‘10-64’, the contract was awarded by Transnet in 2015 to four suppliers, including: General Electric (GE), which is supplying 233 diesel locomotives; China North Rail (CNR), which is contracted to supply 232 diesel locomotives; CSR, which is supplying 359 electric locomotives and Bombardier Transportation (BT), which will supply 240 electric locomotives. During 2018, GE delivered 86 locomotives, CSR delivered 88, while CNR and BT delivered 21 and 10 locomotives respectively. As of March 31, 2018, GE had delivered 203 locomotives under the 10-64 contract, while CSR had delivered 168, CNR 21, and BT 10. The contract was initially scheduled for completion in 2019, but owing to the relocation of BT and CNR’s assembly operations to Durban, the period was extended to 2020 for the two companies, without penalties. However, as a result of failures to adhere to the new delivery scheduled, Transnet confirmed that some penalties had since been instituted. CFO Mohammed Mahomedy said a remedial plan had also been developed to deal with the R8.1-billion in irregular expenditure and would be presented for board approval in the not-too-distant future. In the meantime, though, the rise in irregular expenditure had led Transnet’s external auditors, SizweNtsalubaGobodo, qualifying the 2018 results, owing to the fact that they were unable to obtain sufficient evidence that the information on irregular expenditure was “complete and accurate”. Mahomedy stressed that the qualification was limited to the non-financial aspects of the results in 2018, during which revenue increased by 11.3% to R72.9-billion and earnings before interest, taxation, depreciation and amortisation rose 18% to R32.5-billion. Net profit improved by 75%, from R2.8-billion to R4.9-billion.